Today I finished installing all lights but one in the dining kitchen area. I also installed a recessed light that sits up under the upper right hand kitchen cabinet. 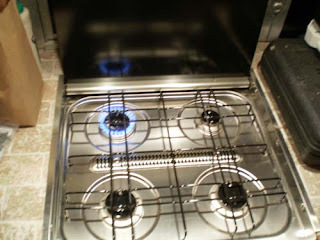 I have one more to install on the left side and all lights in the kitchen should be done. The bus is a bit of a mess right now so in the following pics please disregard the disarray. 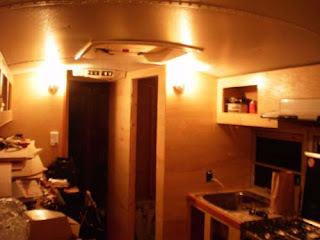 Here are the installed lights in the dinning / kitchen area looking towards the rear of the bus. 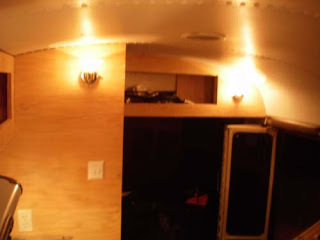 Here are the installed lights in the dinning / kitchen area looking towards the front of the bus. 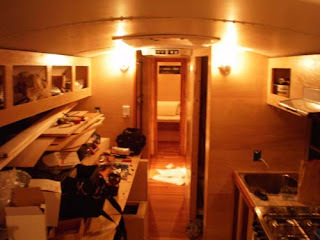 In this pic you see the kitchen area. 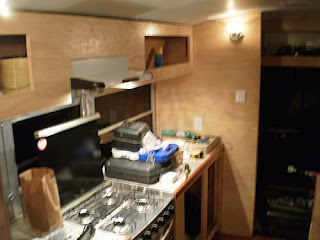 (the hood vent lights are on and to the right a recessed light under the far right top cabinet is on.